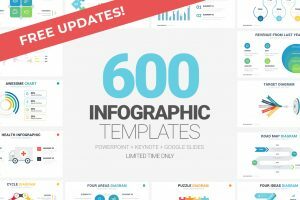 Find the best free business Powerpoint templates to create a professional presentation. Present your innovative ideas in a visually engaging manner using tables, charts, and diagrams ideal for business purposes. Download Powerpoint slide design ideas to show your confidence and determination while impressing your audience with an informative and well laid out presentation. Download business Powerpoint templates easy-to-edit, which means, you just have to put in all the important details. You can download any of the following Powerpoint templates that are designed to help you create a presentation to stand out. When getting ready to present, you must create a presentation that will appeal to all of your audience. 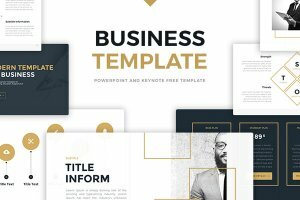 The Business Pro free Powerpoint Template has a color scheme that is sure to capture your listener’s attention so that you can convey your message. When you have a project report to give, make sure you outstandingly represent your business. 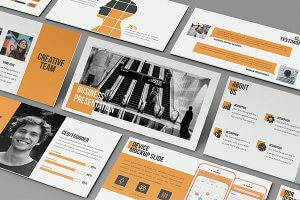 This free template is an excellent and creative presentation to impress your audiences. 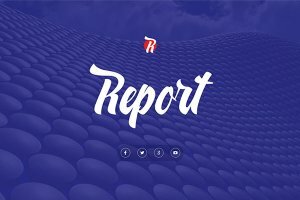 The Report provides a clean and simple layout for you to customize. When you think of organic, the first thing that may come to mind is fresh. Fresh is not just used to describe food, but it also describes something new and modern like this green presentation. Create a presentation that is informative and appealing to the eye. 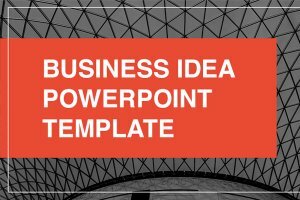 Business Idea free Powerpoint Template has excellent potential help you and your company stand out. 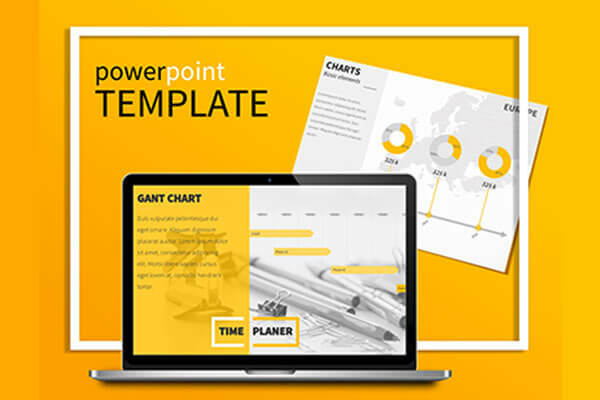 If you want an informative, modern, and professional presentation use the Business Gold free Powerpoint template to impress your audience. Who says reports have to be boring? 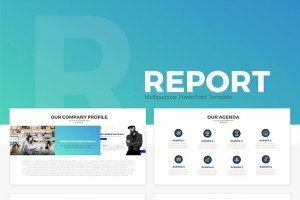 The Report free Powerpoint Template is a well-organized template that has this electric, cool, and modern look. 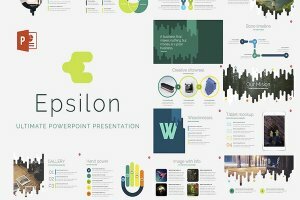 Epsilon Powerpoint Template is perfect for any presentation. It has a variety of slides that can be customized to give your audience an impeccable impression of your performance. 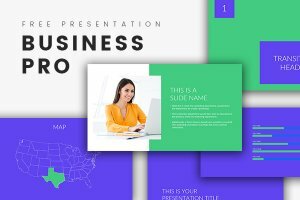 A business free Powerpoint template ideal to create corporate presentations. The look of this presentation is simple and clean in which will give you a great presentation for your audience. 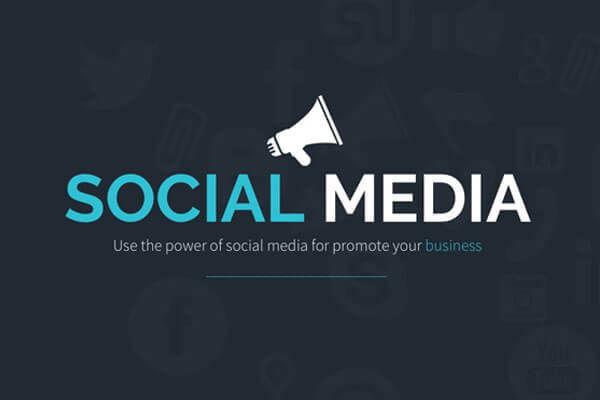 Need a social media free powerpoint template? 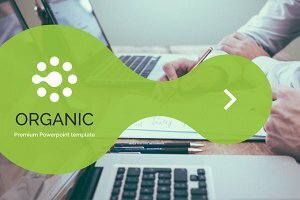 We have designed a presentation template for your needs, and best of all is that you can download for free.